German was my weak point, and I managed to set this right in Vienna. ActiLingua Academy Vienna - the right choice for a German course in Vienna! Lessons are held in small groups with modern teaching methods, so that makes learning the German language not only useful, but fun! ActiLingua Academy Vienna offers more than 20 years of experience as one of the leading schools for German as a foreign language. 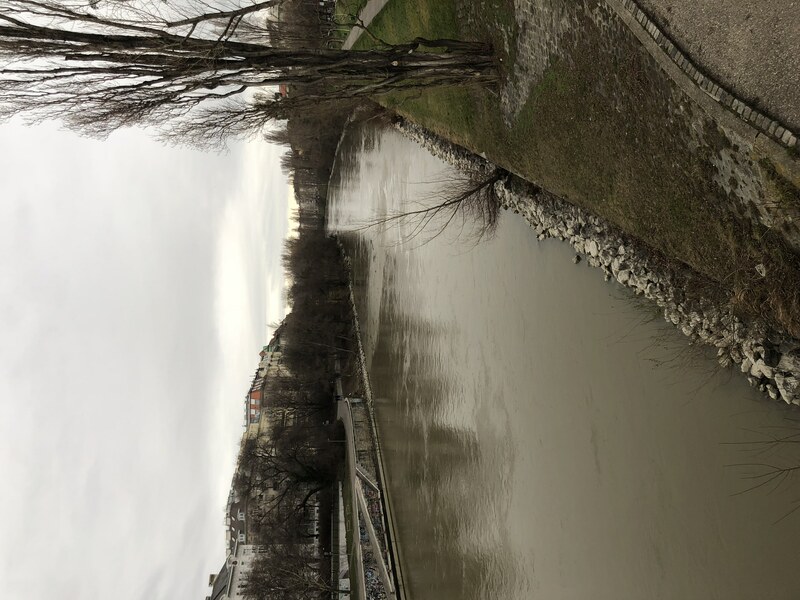 The modern language school is situated in beautiful Vienna. ActiLingua Academy Vienna has German classes for all levels, from beginner to advanced courses. The participants are taught by native speakers and learn to speak, write and read German language. 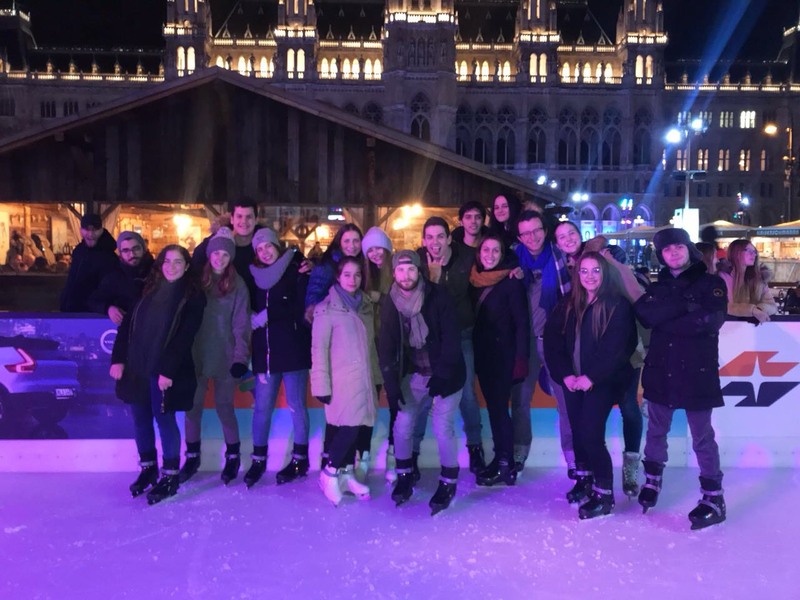 Visiting a language course at ActiLingua Academy Vienna is not only about learning German – with school's activity programme and the special interest classes, you can experience Vienna and the Austrian culture and language in an exciting way. All courses at ActiLingua Academy Vienna are precisely structured and follow a recognized curriculum. Teachers are highly qualified, professionally trained and motivated - and take great pleasure in accommodating your interests and wishes. Practically orientated lessons and the regular monitoring of teaching quality guarantees optimum learning success for you. The combination of the Standard Course and Business German enables you to learn what you need for your job.It is the right course for you, if you want to improve your German skills for meeting, presentations and negotiations at work. Each group is taught by three teachers a day in order to ensure more varied and stimulating instruction. Hence, participants are made familiar with different individual styles of teaching, teacher personalities and variations in pronunciation of modern business German. The intensive German language course is suitable for anybody wanting to make quick progress in short time.You study six lessons a day. Four of these lessons are held in groups of an average of 8 and a maximum of 12 participants and two lessons a day are in small groups of 5-8 participants. In multinational groups you will learn a lot about foreign cultures. You study for six lessons every morning or afternoon from Monday to Friday. Like in the Standard Course, the main emphasis is placed on improving your general German and your communication skills. Lessons in grammar and conversation help you with syntax and vocabulary building. You practice formal and informal letter writing, and work on listening and reading comprehension. In the additional two lessons in small groups, the teacher can focus especially on your individual needs and weak points. Each group is taught by three teachers a day in order to ensure more varied and stimulating instruction. Hence, participants are made familiar with different individual styles of teaching, teacher personalities and variations in pronunciation of modern German. Dates for full beginners 2019: January 7, February 4, March 4, April 1, May 6, June 3, July 1, July 29, September 2, September 30; November 4; December 2, and January 7, 2020. Super-Intensive German Course is a combination of group tuition (Standard Course) and individual tuition. Individual tuition caters to special learning needs and takes your vocational interests into account. In the Super Intensive Course you learn German with quick progress. The Super-Intensive German language course is suitable for anybody wanting to make quick progress in short time. You study for six lessons every morning or afternoon from Monday to Friday. The main emphasis of the Standart Course is placed on improving your communication skills. Lessons in grammar and conversation help you to enhance vocabulary and improve your syntax. You will practice formal and informal writing and work on your listening and reading comprehension. • The Standard German language course is for Beginner and Advanced. • You study for four lessons every morning or afternoon from Monday to Friday. • You study in groups of an average of 8 and a maximum of 12 participants. • In multinational groups you will learn a lot about foreign cultures. • You have sufficient free time for self study, sightseeing or relaxing. • The main emphasis is placed on improving your general German and your communication skills. Lessons in grammar and conversation help you with syntax and vocabulary building. You practice formal and informal letter writing and work on listening and reading comprehension. • Each group is taught by two teachers per day in order to ensure more varied and stimulating instruction. Hence, participants of the Standard Course are made familiar with different individual styles of teaching, teacher personalities and variations in pronunciation of modern German. Accommodation in a host family is definitely the best way for practising your German and getting to know Austria and its people outside the classroom. You stay with a host family in their own home. 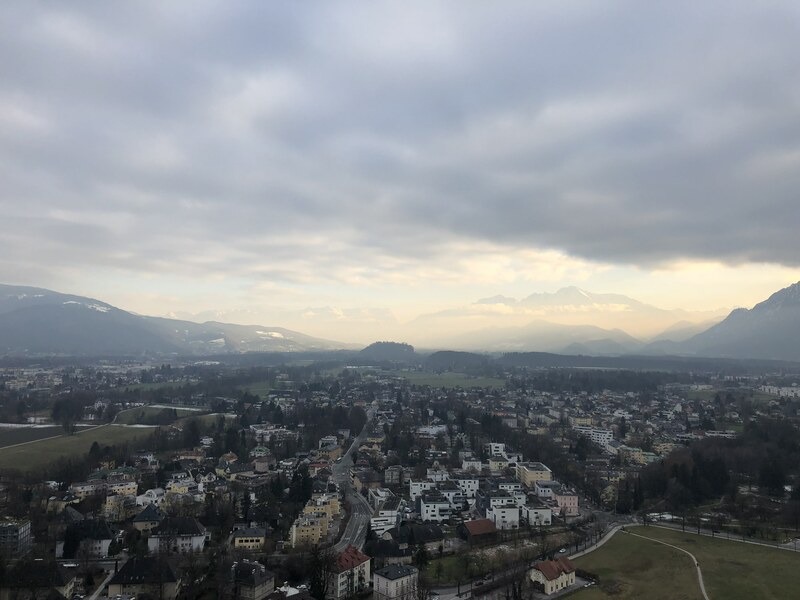 Accommodation in a host family is definitely the best way of practising your German and getting to know Austria and its people outside of the classroom. Host families can be childless couples, parents with school children or older people whose grown-up children have already left home. You may choose from use of the kitchen, substantial breakfast only or half-board with a three-course lunch or evening meal. You have your own single or twin room. You share the bathroom and the kitchen with your host family. 20 modern Superior Apartments ensuite and Standard Apartments offer you recreation or contact with other international students - only 10 to 15 minutes from the language school and Vienna's city centre. A Art Nouveau building in a calm Viennese neighbourhood is the perfect starting point for successful learning, amazing walks and interesting tours in the European metropolis of arts and culture. All apartments are non-smokers. - Two apartment categories available: Standard (shared/single) and Superior (en suite). - Quiet location close to underground station. - Reach the school and city centre in 10-15 minutes by public transport. - Many major sights close to the ActiLingua Residence. - Self-catering with fully equipped kitchen or breakfast or half-board. - Plenty of leisure activities. The nearest tube station (U3 "Zippererstraße") lies within 5 minutes walking distance. From there it takes 10 minutes to reach the city centre ("Stephansplatz"). Major sights close to the ActiLingua Residence include a baroque masterpiece, the Belvedere Palace with its spacious Botanical Gardens, Hundertwasser House and the very popular Vienna Gasometer complex with its restaurants, shops, a supermarket, cinema, gym, private apartments, concert hall and a municipal archive. Many other attractions as well as the world famous Giant Ferris Wheel are waiting for your visit in Vienna's Prater which you can reach within 30 minutes by means of public transport. Lovely breakfast buffet features freshly-baked rolls, croissants, ham, cheese, various types of fresh fruits, yoghurt and muesli as well as tea, coffee and juices. Enjoy comfortable laundry service once per week for free! Just hand in your laundry bag at the reception and we will return your clothes washed and dried. The easiest way to explore Vienna is by tram, underground or bus – choose this special and you receive a free ticket for all public transport in Vienna, valid for the whole length of your stay. Students have their own single or twin room in a modern, urban and favourably located Student House with a very nice in-house restaurant. School and city centre are accessible in 20-30 minutes by public transport. Meals: Breakfast or half-board. Additional use of hot plates and refrigerator free of charge in a kitchen on each floor – students must provide their own crockery and utensils. Facilities: Twin or single rooms. Twin rooms with shower and toilet. Three single rooms share a shower and toilet. You are accommodated in a well maintained shared flat, often shared with other ActiLingua students. Meals: The use of the kitchen is included in the price. The flat contains all the usual utensils and crockery. Facilities: Single or twin room with shared bathroom and kitchen. Most flats are also equipped with their own washing machine and TV. Everything was just great! I really improved my German, especially speaking and listening. Thank you, Linguatrip! Languages are extremely important in my job. German was my weak point, and I managed to set this right in Vienna. It was a lot of fun and therefore effortless.